This is the hub of our website universe. You may have gotten to this website by a number of methods. If you're looking for one of our many other websites, I've created a list below. Note: for a quick link to my Amazon offerings, click on this Store link! my LeanPub author page - all my longer works-in-progress, the latest, greatest, most current copies of The Crissing Link series, etc. 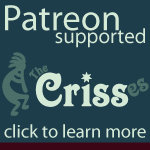 The Crissing Link book series website - books about multiplicity for peers and for others. Excerpts on site. Liberated Life Coaching for people with mental health diagnoses and dissociative identity disorder or mental differences - I'm probably the most open-minded life coach on the planet. I have elves in my head, for crying out loud. Writing & Business Coaching Services - Eclectic Tech, LLC - some business-to-business services are still available as we transition to more coaching services. Farm-A-Yard partner/founder - collaboration project attempting to get lawns turned into local food resources by providing education, motivation, community, etc. on biodynamics for home and small-plot agriculture. Podcast and online education drumming up some yard-farmers near you to save the planet one yard at a time. My Blueprints for Change blog. Who doesn't have a blog? This is a personal website. If you don't want to know anything about me that might be personal, I suggest you leave. If you end up offended (or offered as a symbolic sacrifice on the altar of my Ego), or better yet, you agree that I'm a weirdo once you finally find your way back to civilization, don't say I didn't warn you! © Criss Ittermann. All Rights Reserved. Website by Eclectic Tech, LLC.